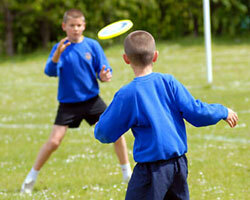 Here are a few simple fun Frisbee Games that you can play with friends and family. Pass the disc back and forth. For each successful catch, both players take one step back. Take one step in for missed catches. Insert two sticks of similar size into the ground approximately 20 paces apart. Each player stands behind one of the sticks. Take it in turns throw the disc at the stick. Players must not put any part of their body in front of the stick to defend it. Players pass the disc to each other, but instead of throwing the disc directly to the player, passes are made into space so that the receiver must move their feet to make a catch. This simple ‘passy’ fun Frisbee game can involves running, and if you’re playing on the beach, some diving too! Complete as many passes as you can within a time limit. Use a stopwatch to time you, for 2 or 3 minutes and see how many catches you can make as a team. You get 2 points for 2 handed catches and 3 points for 1 handed catches. You get 5 bonus points for no drops! If you get into the zone, have a go at some catches behind the back and under the legs – you get 5 points for these! Make a line of 4 – 5 players. The people at the end of the line are the throwers. The aim is for as many people as possible in the line to flick or ‘mac’ the disc as it passes by. The goal is also for the disc to fly to the last person where upon it is caught! The main requirement is for the throwers is to imagine there is nobody between them and throw a nice flat or slight roll curve throw to the other end of the line. For the guys in the middle the middle the most important principle is to maintain or add to the spin on the disc to keep it flying. This can be done by brushing the edge of the disc. It’s important to think about the spin direction of the disc as it’s thrown to decide which edge of the disc to tip. 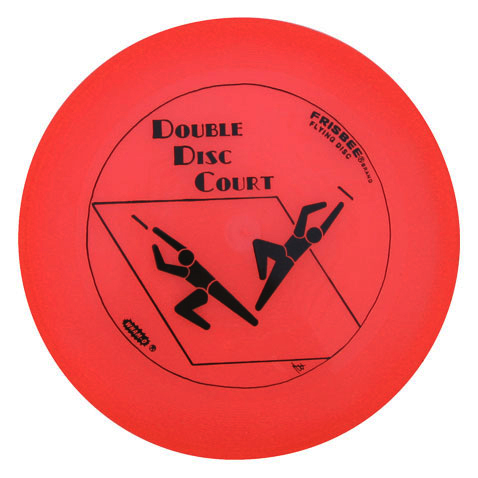 If the disc is too low you can tip downwards on the back edge of the disc as it passes. 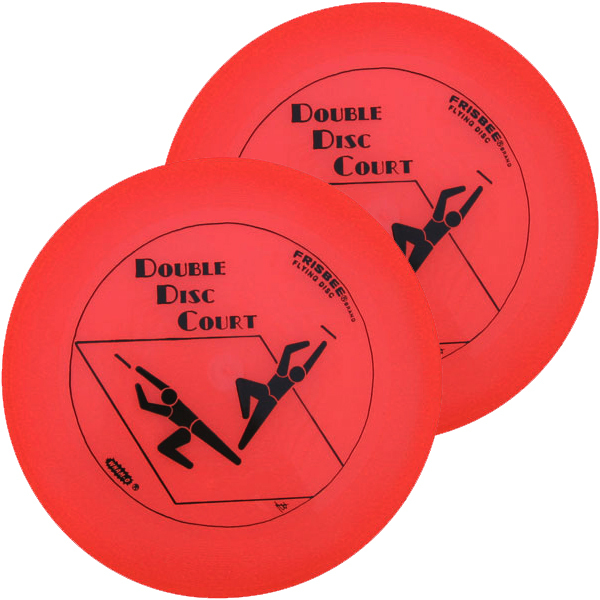 Another way to aid the flight of the disc is to tip downwards on the back tail of the disc. If done correctly it adds ramp to the disc which makes it rise up and fly with extra glide! Tip – With two right handed throwers, it’s a good idea for one thrower to send a backhand and the other a sidearm. By doing this the central ‘mac-ers’ can expect the disc to curve from the same side each time, and with the correct direction of spin. Playing throw and catch around, under and over obstacles is one of the best ways to practice curves and air-bouncers. Look for ‘passing lanes’ along woodland paths. One of the best types of tree to ‘cruise’ among is the Scots Pine. Their great height and lack of branches below 20m make them ideal, plus the ground tends to be firm and free from too much vegetation. If a suitable woodland location is not available, buildings, lamp posts, goal posts and any other large structure in the landscape can be used to curve around. Failing that, imaginary obstacles can be used! Tree cruising forces curved flights to the left or right, and air bouncers under branches and through gaps in the trees. A misguided throw in this environment is likely to hit a tree with a thud – which is good clear feedback of an error! 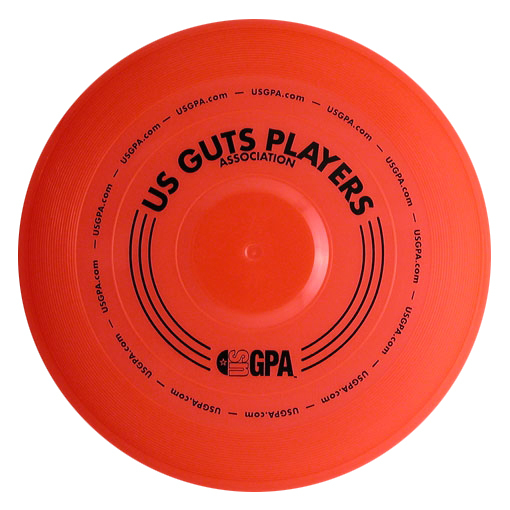 On the other hand, it’s very satisfying when a disc glides sweetly past the trees to be caught with ease by the intended receiver. It can be played with one disc between 2 or 3 people or with more discs in larger groups. It’s good to keep moving around so that players must continually pick new lines through the trees. Tree Cruising serves as good practice for Ultimate too, with the trees being like defenders to navigate around. After experiencing being ‘in the zone’ while tree cruising, throwing with greater accuracy and imagination in other contexts, such as Ultimate, will follow naturally. Several people can join in to make a network of passing lanes through woodland trees… it’s pure heaven with a disc!